We’re thrilled to announce that Allbound has been identified as one Arizona’s top software tech companies based on the high levels of customer satisfaction and “likeliness to recommend” ratings for its partner relationship management (PRM) platform by users on the industry-leading review platform G2 Crowd. 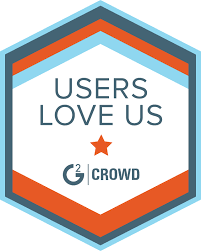 Allbound PRM has received a 4.6 out of 5 star user satisfaction score across its 15 verified real-user reviews in the partner management software category, also resulting in them being named the official category Leader on the G2 Crowd Grid® for Partner Management . Users point to Allbound’s user experience, Q&A and searchability as its best features. The state of Arizona tech report recognized Allbound and 15 other Arizona SaaS and service companies as the leaders of the state’s tech scene. Overall the report covered over 40 Arizona companies. Read the entire report to see the trends and how Allbound is contributing to the overall state of the B2B Arizona tech scene. amazing and actually fine material for visitors.